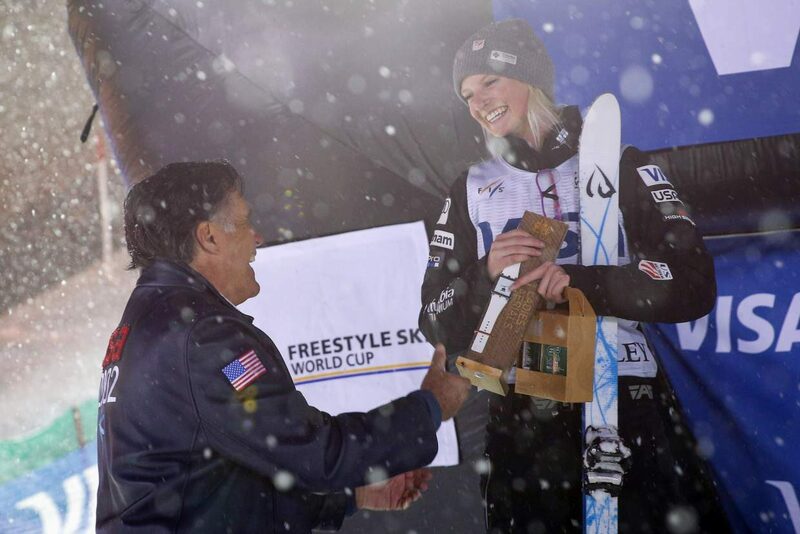 The best aerials and moguls athletes in the world will converge on Park City for the Visa Freestyle International Ski World Cup starting Wednesday. 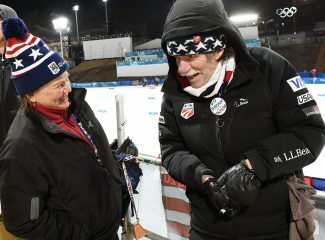 The event is likely to be thrilling, especially for Americans, as the U.S. is stacked with world-class competitors this season, several of whom are just one good performance from earning a spot on the Olympic team, and many of whom call Park City home. For local spectators and tourists alike, there will be no shortage of contestants to root for. U.S. Freestyle Director Todd Schirman helps set the stage for the upcoming competition. The finals will start Wednesday evening with single moguls qualifying. Contestants ski as fast as they can alone down a moguls run, which incorporates two jumps. There are three major components: turns, air and time. Turns — how well the competitors keep their form while skiing the bumps — accounts for 60 percent of each athlete’s score. The other 40 percent comes from how fast someone finished the course (speed), and the difficulty and quality of tricks performed off of two jumps (air). Seven judges will score the event — five turn judges and two air judges. Timing is taken directly from an electronic timer. The high and low scores from the turn judges will be thrown out, and the other three will be averaged together. A score in the mid-80s would be considered podium-worthy at most World Cup events. Jaelin Kauf of Alta, Wyoming, is the first American to lead women’s moguls since Hannah Kearney. She has numerous podium finishes this year and has already met the objective criteria to qualify for the Olympics. Schirman said the 21-year-old is currently the fastest woman in moguls skiing, a fact she will undoubtedly use to her advantage. “We have her ski to her strength, which is beating the other ladies down by at least a second,” Schirman said. Though Kauf leads the sport for the U.S., Schirman said the team is rife with other talent. “We have a good problem because so many athletes are skiing really well,” he said. Seven women’s mogul athletes are podium contenders, and all the female U.S. athletes are internationally ranked in the top 16. 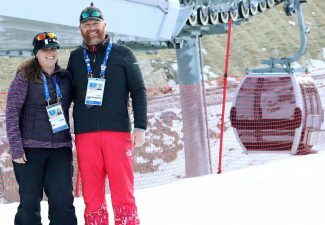 Schirman added that the team has several athletes who could podium both at Deer Valley and in the Pyeongchang Winter Games in South Korea next month, including Keaton McCargo and Morgan Schild. “Schild hasn’t had the results yet, but she was the Deer Valley winner last year, and she has the talent to create a ton of opportunity,” Schirman said. Tess Johnson will also be a strong contender. Now 18 years old, the Vail, Colorado, native was the youngest person to be named to the women’s mogul team, earning the spot at 14. She has been finishing well this season and is poised for a great competition. Troy Murphy currently leads the field for the U.S. men. He has a World Cup podium this season, the first of his career, which he recently picked up in China. He is currently one point away from objectively qualifying for the Winter Games. Murphy’s strength is in his jumps, where he earns points through maximum-difficulty tricks. Expect cork 1080s on the bottom jump and a double full on the top jump. 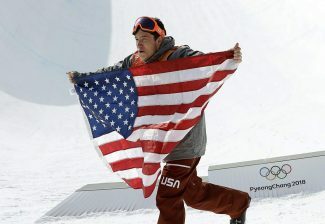 “He has always been a strong skier, but now he’s broken into the podium level, which is great,” Schirman said. Brad Wilson is another to watch. He reached the podium at the World Championships last season and, as a member of the Wasatch Freestyle Club, has a lot of experience at Deer Valley. He is currently ranked 19th in the world, but coming onto his home turf, with local support and a big fan base, he is in a position to put on a show. 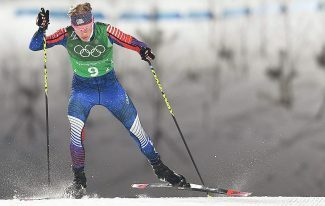 Though the men’s team does not have the depth of the women’s, Schirman said there are several dark horse candidates to look out for, including Emerson Smith, who Schirman said is finding his stride after taking sixth in a recent World Cup in China. Those athletes will set their sights on beating Mikael Kingsbury of Canada, who is currently dominating the sport. Aerials is all about jumps — think of it like gymnastics on skis. In fact, many aerialists are recruited from gymnastics. Athletes have a short, steep run that leads to a set of kicker ramps – a double ramp and a triple ramp at the World Cup level, based on how many flips the ramp is designed to facilitate. Once in the air, the athletes do a combination of flips and twists while maintaining their form in hopes of earning the highest scores from a set of five judges. The high and low scores from the judges are thrown out, and the other three are averaged together. For the men’s competition, sets of quad- or quintuple-twisting triple backflips are the gold standard. According to Schirman, the most aggressive trick is a double full, full, double full – or a pair of 720 backflips bracketing a twisting backflip in the middle of the jump. Another option is the full, triple full, full, better known as the hurricane, a move invented by Jeret “Speedy” Peterson. According to The Speedy Foundation, a mental-health-oriented nonprofit established after Peterson took his own life in 2011, the hurricane is a series of five twists over three backflips (three twists during the middle flip), which requires at least 50 feet of air to land. In contrast with moguls, the aerialists are a much narrower group in terms of contenders. Schirman said the medals will likely go to its four most elite athletes: Ashley Caldwell, Mac Bohonnon, Kiley McKinnon and Jonathon Lillis. Caldwell currently carries the torch in women’s aerials. The 24-year-old was the first woman to land a quad-twisting triple, which she won the World Championships with last season. In a competition where most women perform doubles, she consistently competes off the triples ramp. 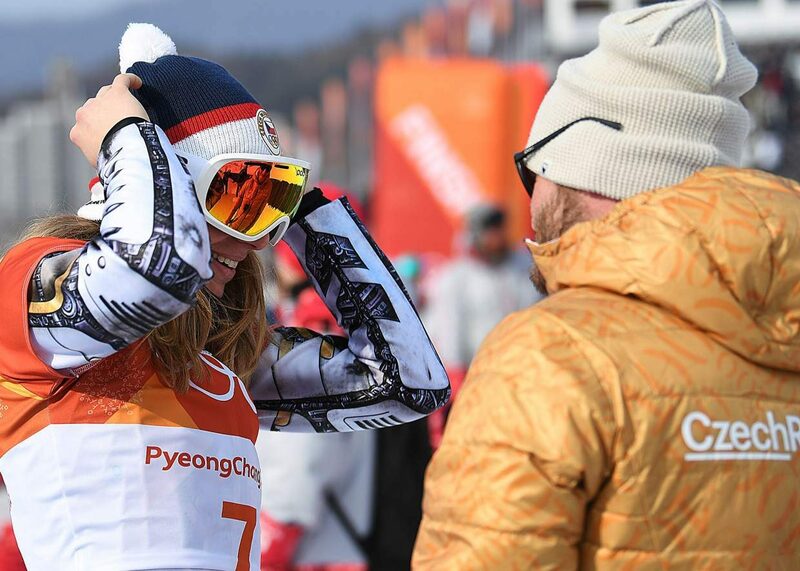 She finished 10th in the last two Winter Games, took first in the World Championships last year, fourth in 2015 and fourth in 2011 when they were at Deer Valley. Bohonnon took fifth in the Sochi, Russia, Winter Games and fourth at the Deer Valley World Cup last year. He was also the overall World Cup winner of 2015. McKinnon took fourth in the World Championships last year, second in the World Championships in 2015, and second at Deer Valley last year. Lillis is currently the World Champion and took seventh in the World Championships in 2015. Bohonnon, Caldwell and McKinnon are all either one or two podium finishes away from objective qualification to the Winter Games. Schirman said this part of the season is especially interesting because the next three World Cup events are in the U.S., giving the American competitors an edge as they try and qualify for Pyeongchang. Meaning Deer Valley could be the start of a string of qualifications for the Americans. All told, the U.S. will be able to field 18 competitors in moguls and 14 in aerials. With both teams training in Park City, the odds are good a local figure will end up on the podium.